When Disney began its quest to turn their classic animations into live-action adaptations, it’s likely that nobody that thought Dumbo would be one of them. Sure enough, at the end of March, we’re given a live-action reimagining of the classic, floppy-eared elephant, Dumbo. More than any other Disney project, Dumbo has carried with it a big question. What would the story be? The original animation is only an hour and four minutes long, making it one of Disney’s shortest features. In addition to that, Dumbo has also been criticized as problematic as critics have observed the studio’s use of crows in the story, whose leader is named “Jim Crow.” These characterizations have been denied, and it’s claimed that the crows are portrayed favorably and as allies to the baby elephant. With the new Dumbo, directed by Tim Burton, the story begins in Joplin, Missouri and World War I looms overhead. 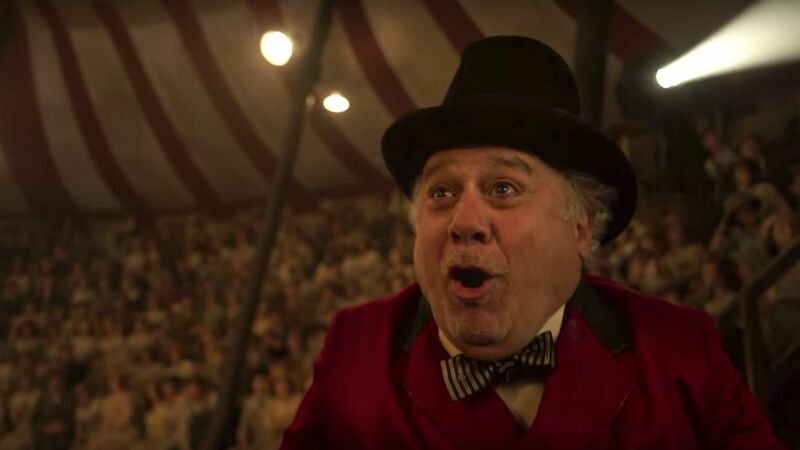 Max Medici (Danny DeVito) is an aging showrunner and circus owner who is struggling to keep his show and troupe afloat. Due to the war, and influenza, the circus has lost many of their own, and the crowds just aren’t turning out. That all changes following the return of Holt Farrier (Colin Farrell) from the frontlines, who once headlined the circus with his wife. Farrier and his children, Milly and Joe (Nico Parker and Finley Hobbins), quickly learn of Medici’s recent investment, a pregnant elephant. This mother elephant, Mrs. Jumbo, is to give birth any day to the elephant we all know as Dumbo. Much like the original story, this Dumbo portrays Mrs. Jumbo as incredibly protective of her child and wants to protect him from the harshness of the circus. It will be up to Farrier and the children to try to ease and calm her, but it proves futile as she will be branded a “Mad Elephant” and sold off, separating mother and son. To survive, and to prove his worth, Dumbo learns to use his talents with the help of Milly and Joe. At first, their father is dismissive of their claims as the wild ideas of children and he tells them to leave Dumbo alone –– advice they, thankfully, ignore. What ensues is the great discovery of, and public reaction to, the flying elephant. Medici is seeing dollar signs as new life and excitement is suddenly injected into his show. This development, however, gains the attention of a businessman from the city who makes a special trip to Joplin to see the elephant for himself. This is where the film assumes its independence and expands beyond the one-hour original. V. A. Vandevere (Michael Keaton) also sees dollar signs, and he’ll do whatever he can to get baby Dumbo into his own show. How he does this, and the consequences of the decisions made by him and Medici, takes up the rest of the film and, to find out what happens, moviegoers will need to get a seat to the show. In seeing Dumbo for myself, I found the story to be illuminating. It captures any child’s imagination. Dumbo himself is a young, beautiful, and expressive elephant. While obviously CGI, along with most of what you see onscreen, Dumbo is still able to pull you in. This is undoubtedly a children’s movie made for children, but it carries with itself deeper, darker undertones as it critiques the horrors of the circus, greed, and selfishness. Children watching Dumbo will still feel the emotions of all of this, even if they don’t fully understand the ideas. Dumbo takes great liberty and stands out as its own as it creates about fifty minutes of new story and content. This was a significant risk, but Dumbo remains true to itself and pays respect to the original. 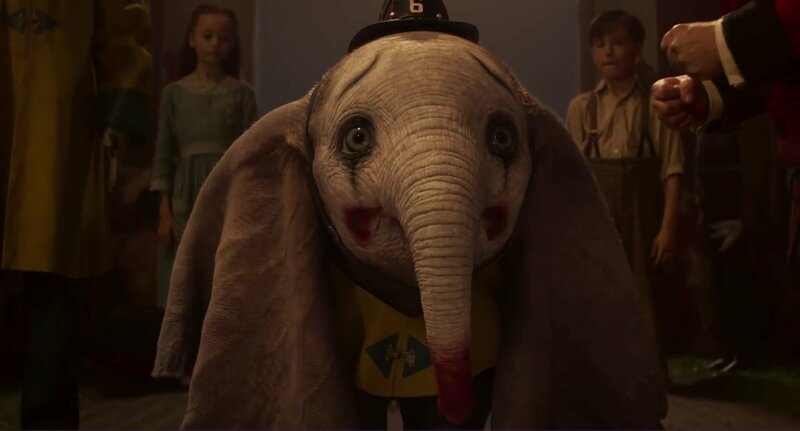 The use of CGI in Dumbo is glaring, and it isn’t surprising that this would turn viewers off. Most of what is seen and experienced onscreen are CGI, with minimal physical sets. However, there is a redeeming quality to the CGI as it’s, quite frankly, done well. The CGI is obvious, but it isn’t garish. The Greatest Showman, another circus-themed story, was not able to execute this medium well and it detracted from the film as a whole. With Dumbo, there’s almost a timeless quality that emanates throughout. Dumbo is worth your time and money. It is respectful of its predecessor while blazing a trail of its own and Tim Burton has done an excellent job. Aside from Dumbo, the stars of this film are Nico Parker and Finley Hobbins as they push the story forward with their own perspectives. Danny DeVito, too, makes his mark as a hard-on-the-outside, but a soft-on-the-inside showman and businessman.